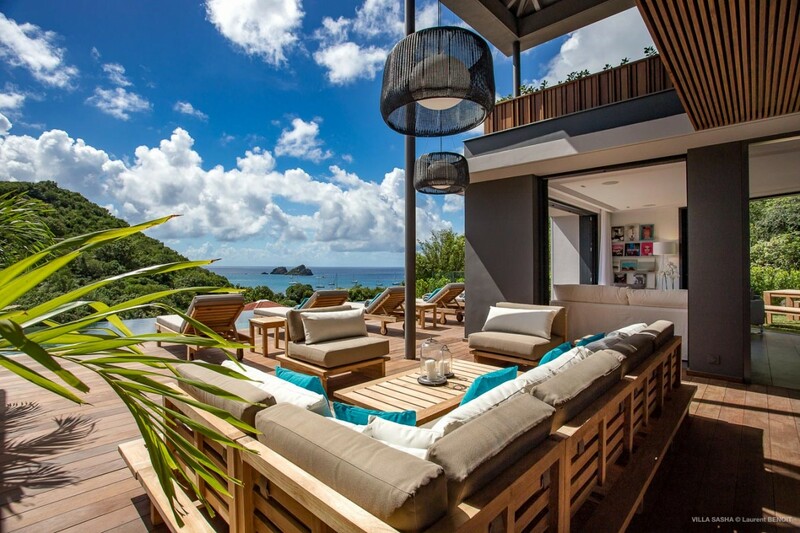 Villa Sasha St Barts. 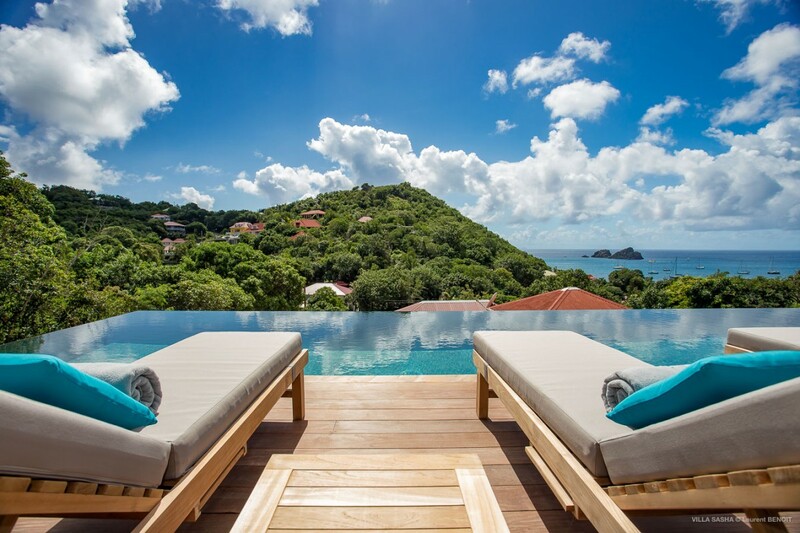 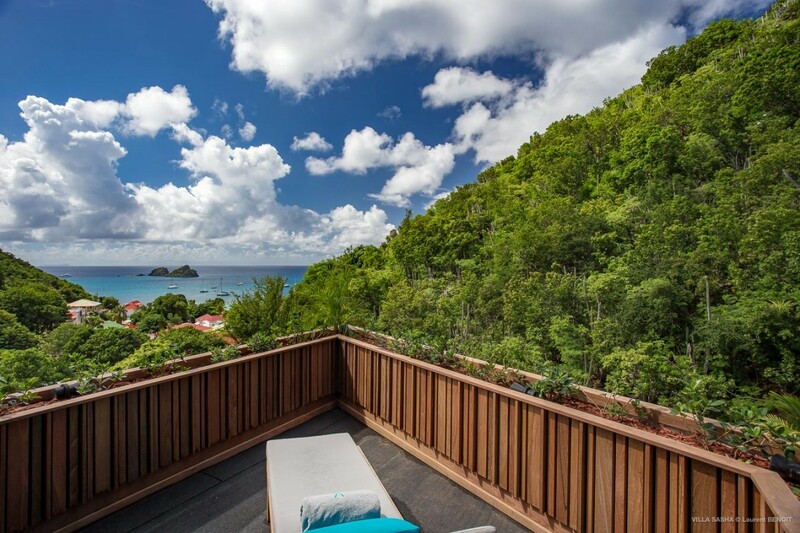 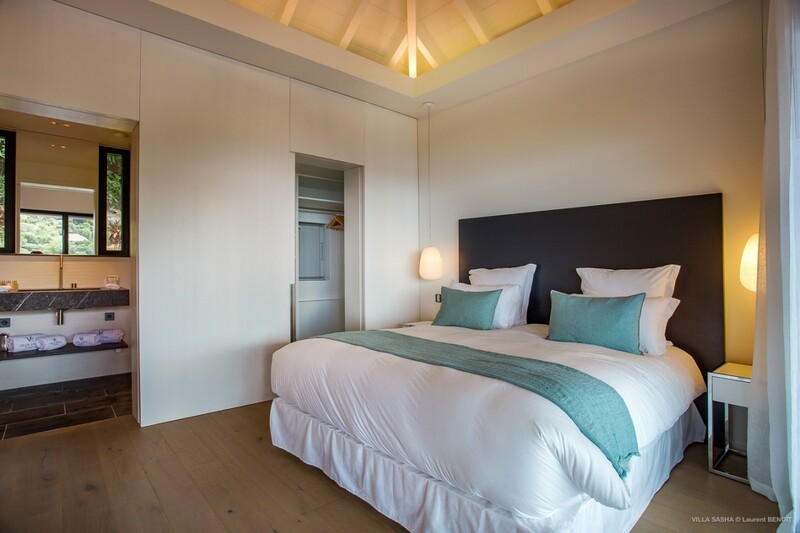 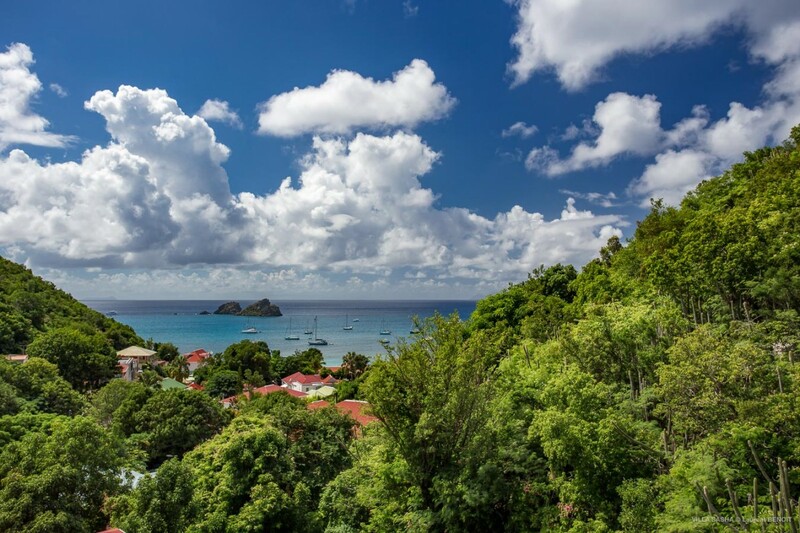 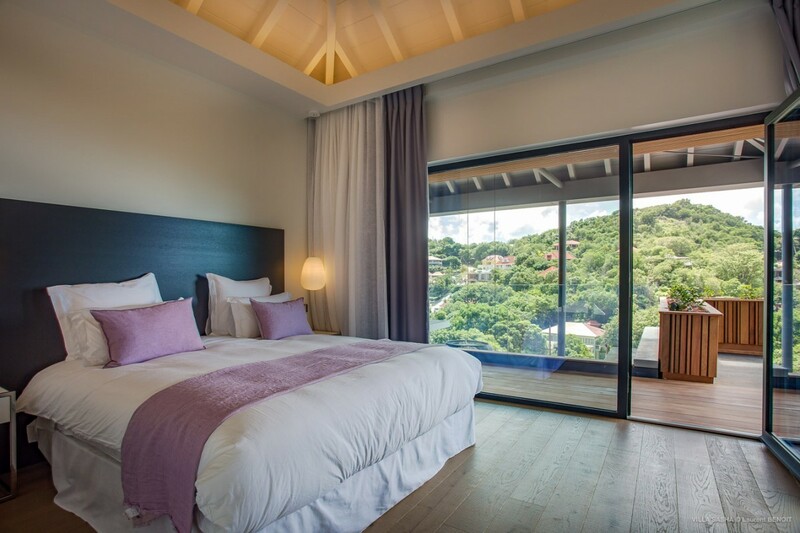 Seeking a truly luxurious St Barths retreat? 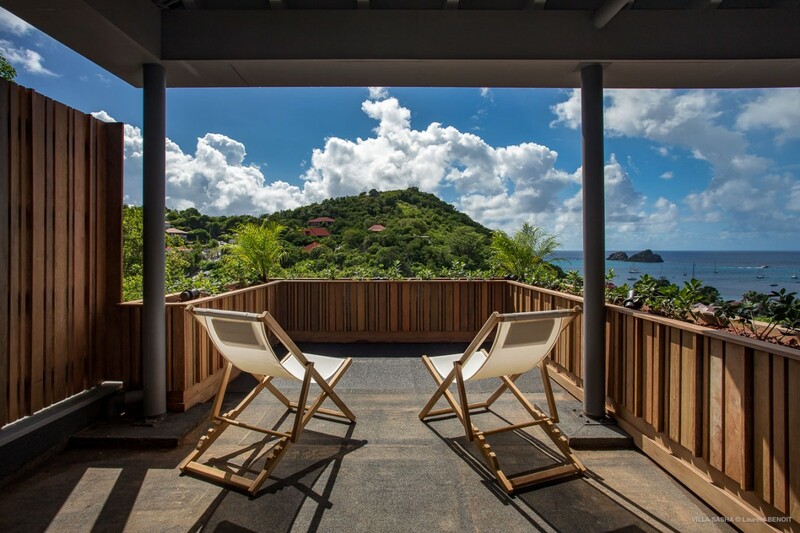 Hoping to find one that is contemporary and yet also packed with island charm and welcome? 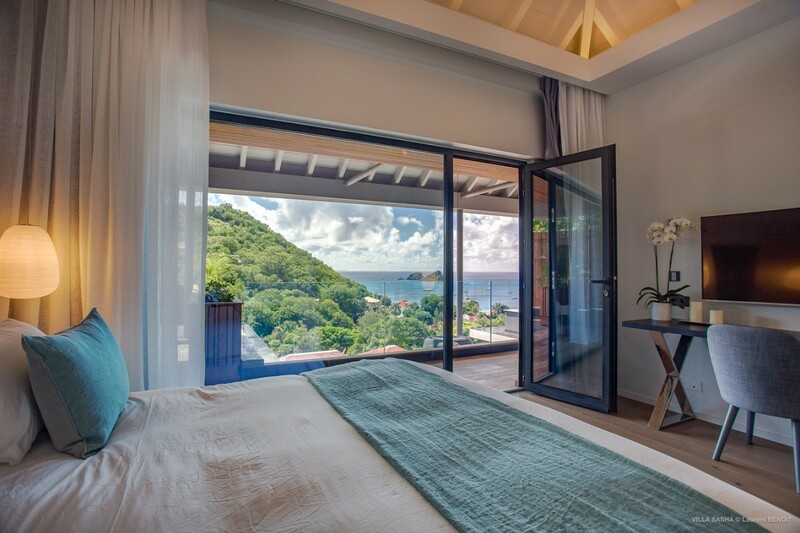 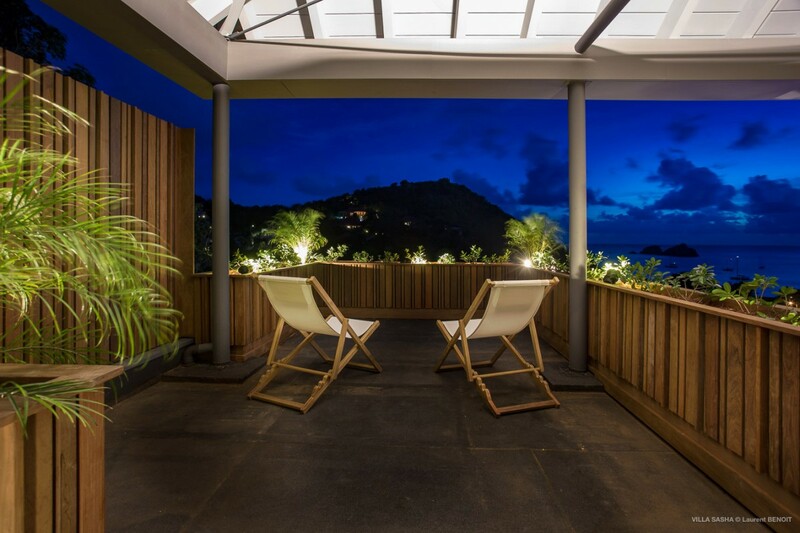 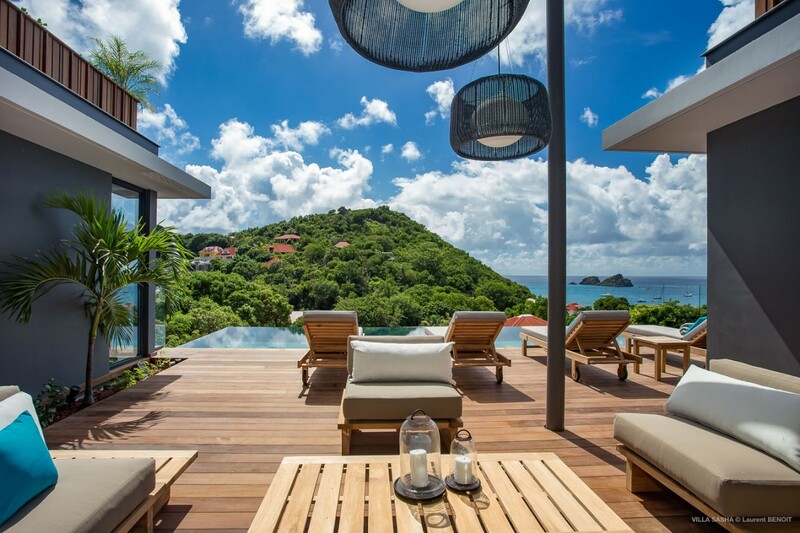 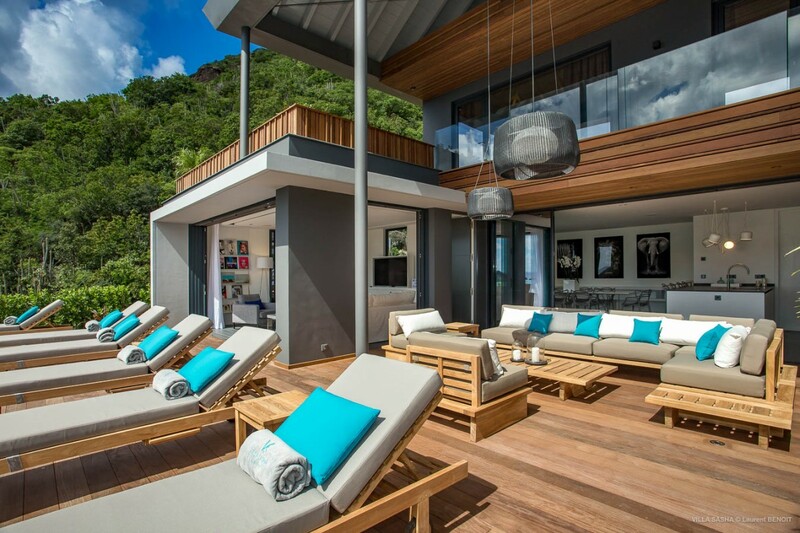 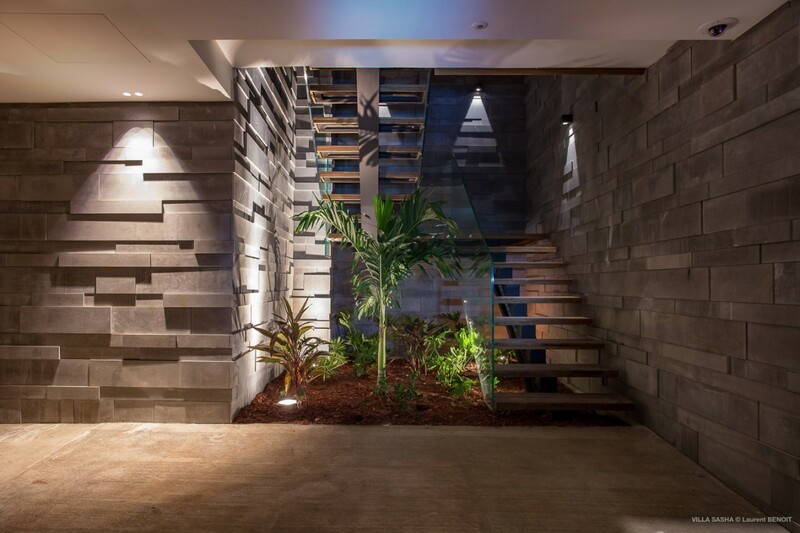 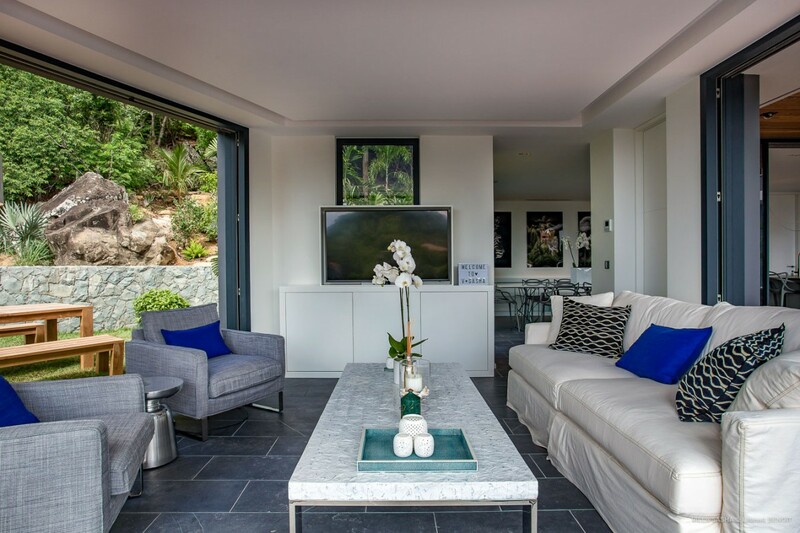 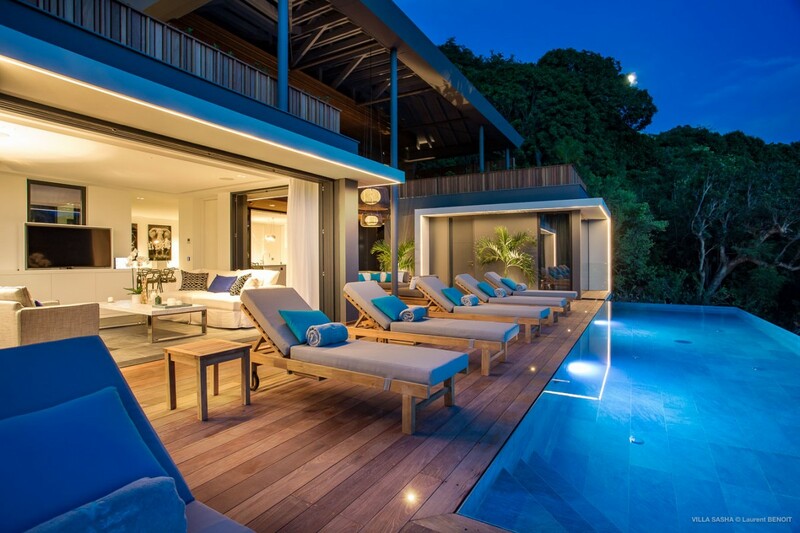 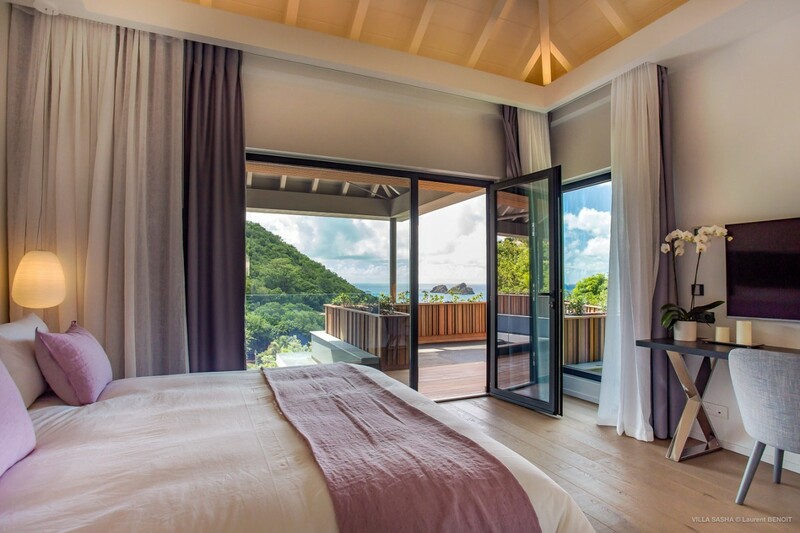 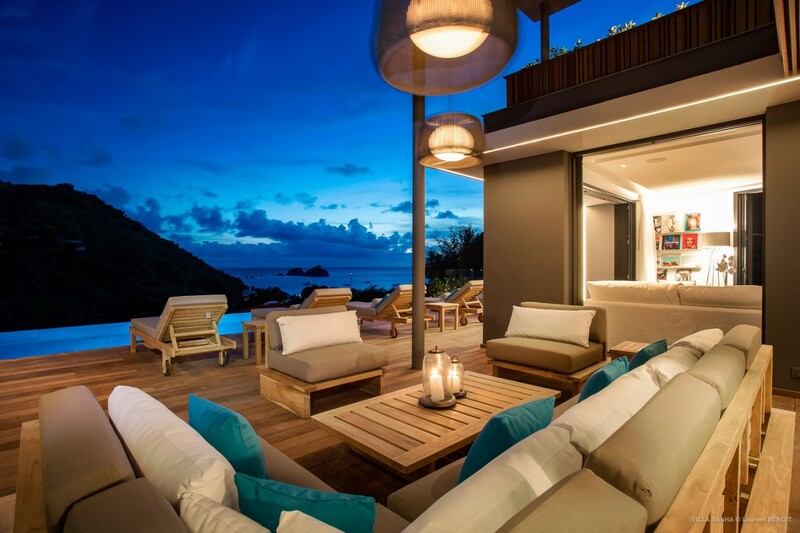 If so, look no farther than the amazing, newly-built Villa Sasha in Corrossol on St. Barts. 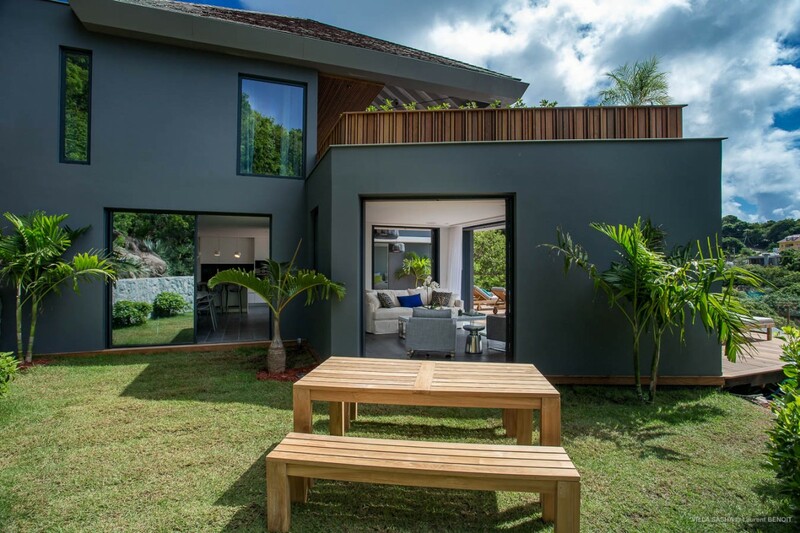 This three-bedroom marvel is designed as a series of three levels and features a flawless blend of interior and exterior spaces decorated to perfection. 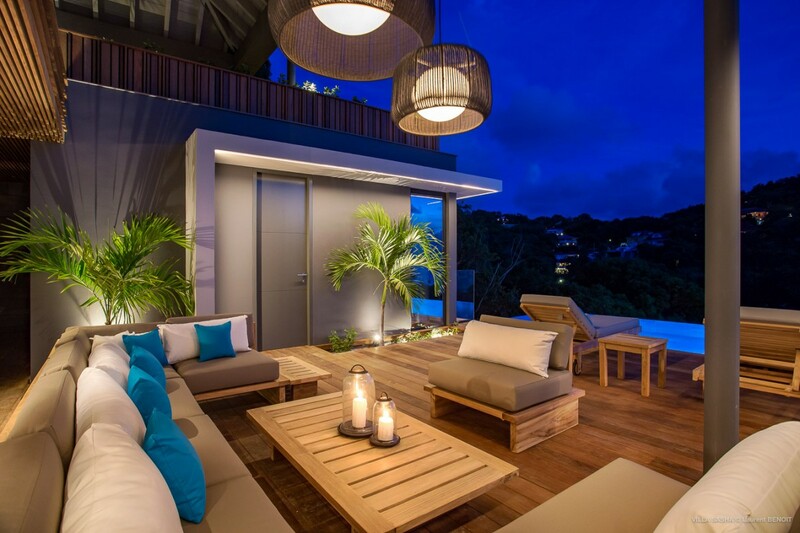 Most will want to dedicate much of their time relaxing on the pool terrace. 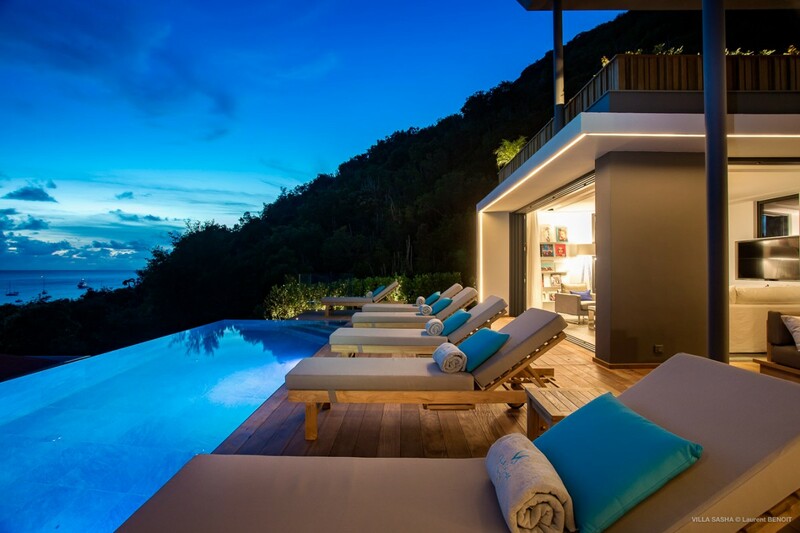 Unlike many modern villas, this terrace stretches along an entire level, with the infinity edge pool offering stunning sea views. 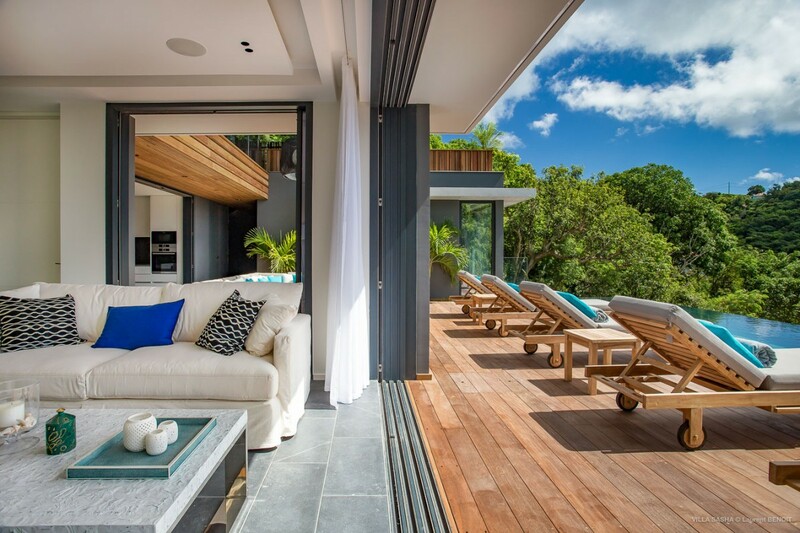 The wooden terrace is lined with oversized sun beds, and a separate, courtyard-like space offers a wonderfully comfortable outdoor lounge with banquette sofa, and direct access into the living room and kitchen areas. 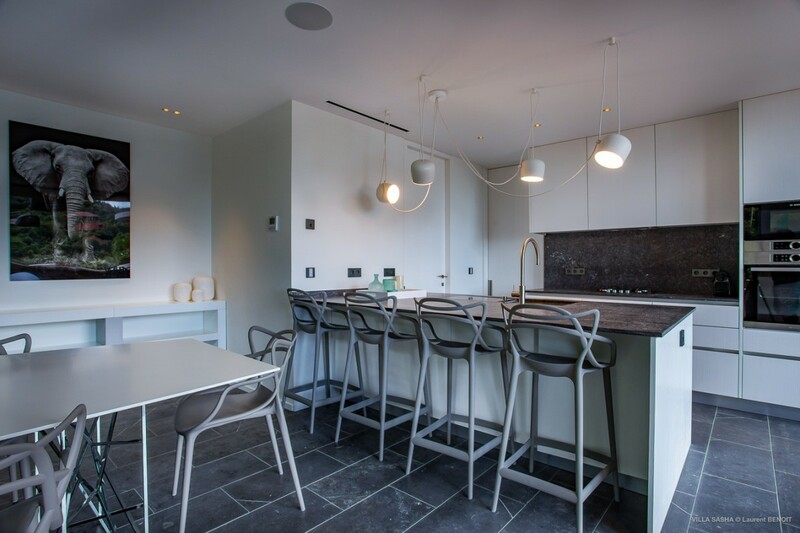 Just inside from the terrace is the enormous, gourmet kitchen. 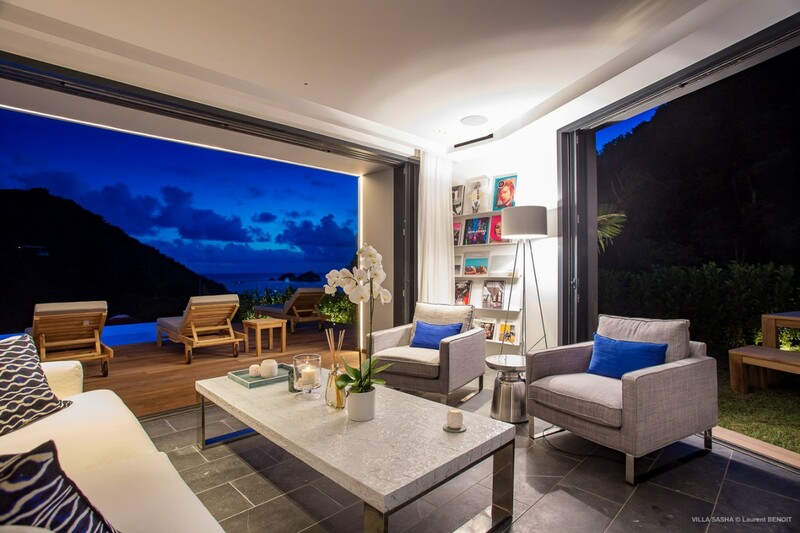 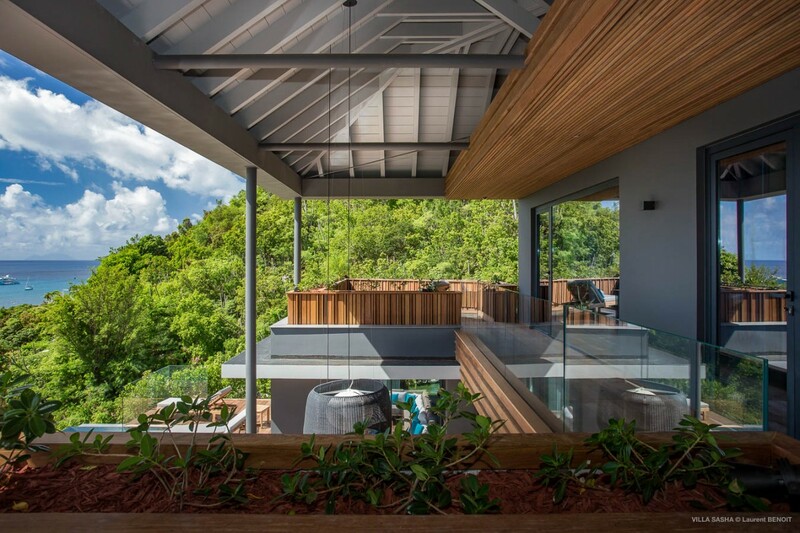 With glass walls open to the sea breezes and scenery, it will be an utter delight to make a meal or a drink, and whether enjoying breakfast or a gourmet dinner, every meal will feel al fresco. 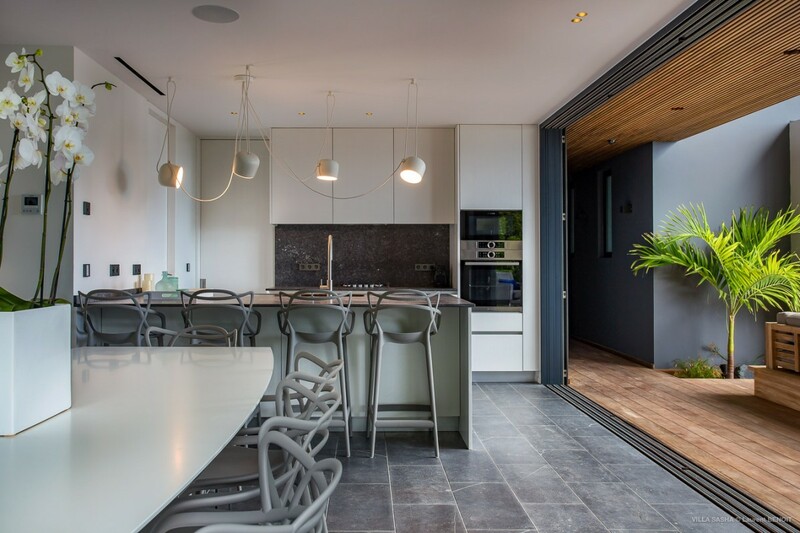 The large dining room opens to a rear terrace, as does the spacious and charming living room. 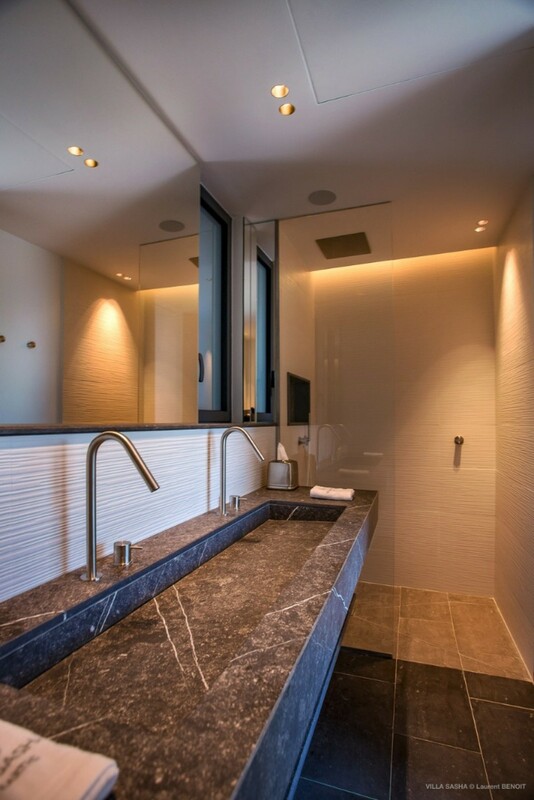 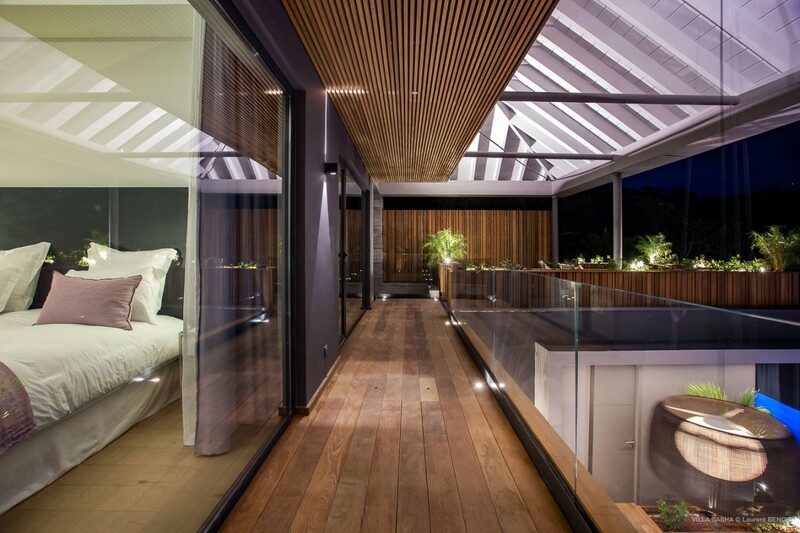 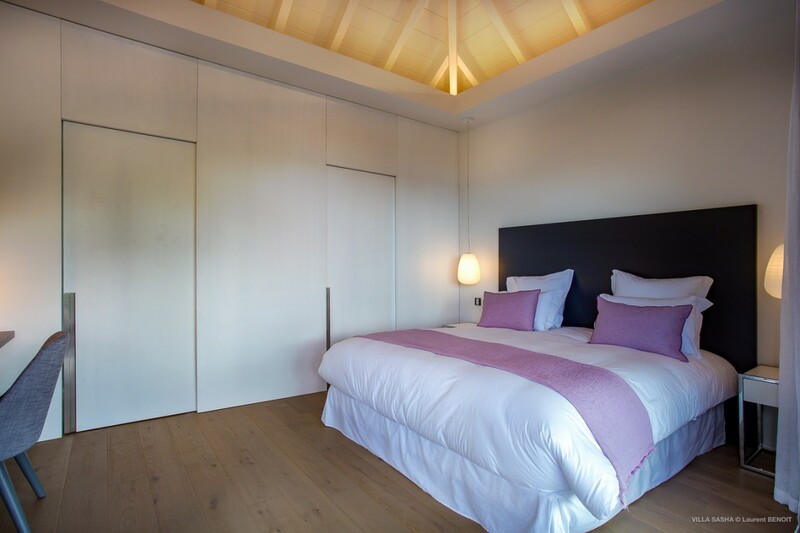 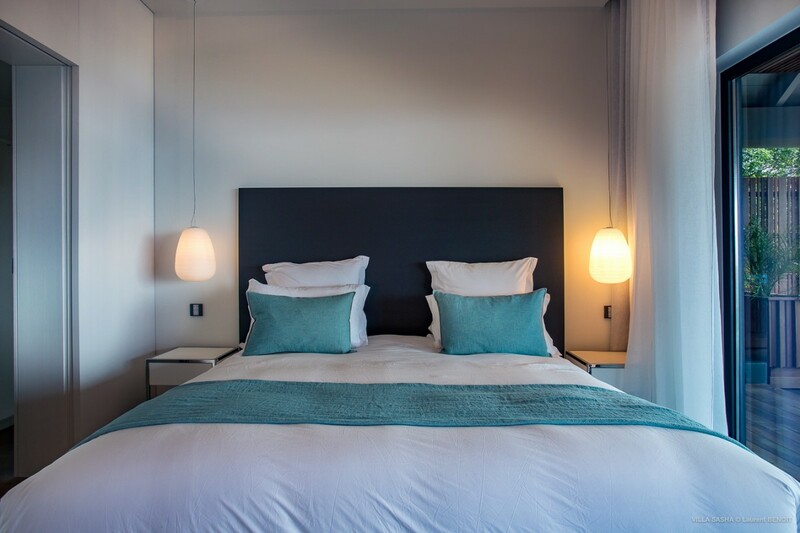 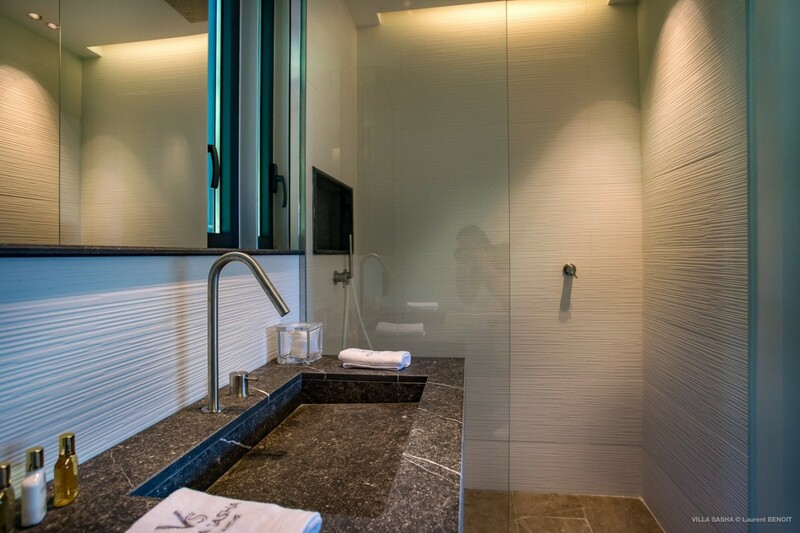 Each of the three bedrooms has been designed as a private, luxury retreat. 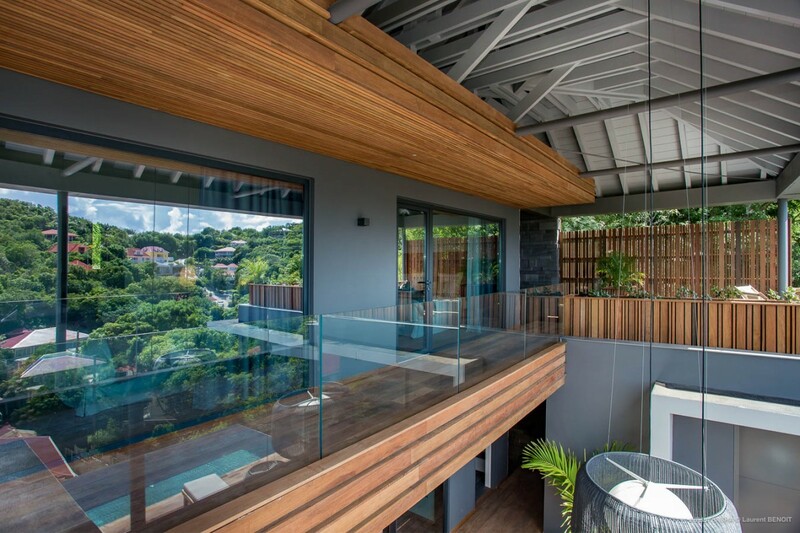 One is on the main living level with the dining room and kitchen area, and the remaining two are on the next level above. 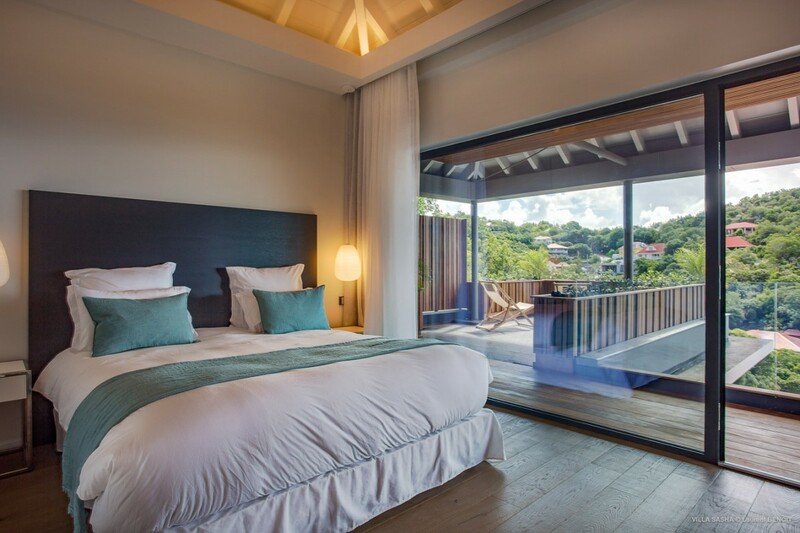 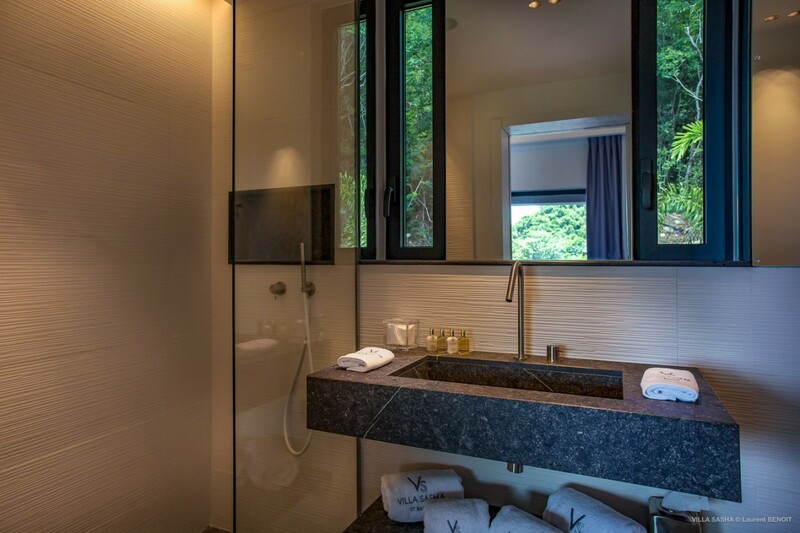 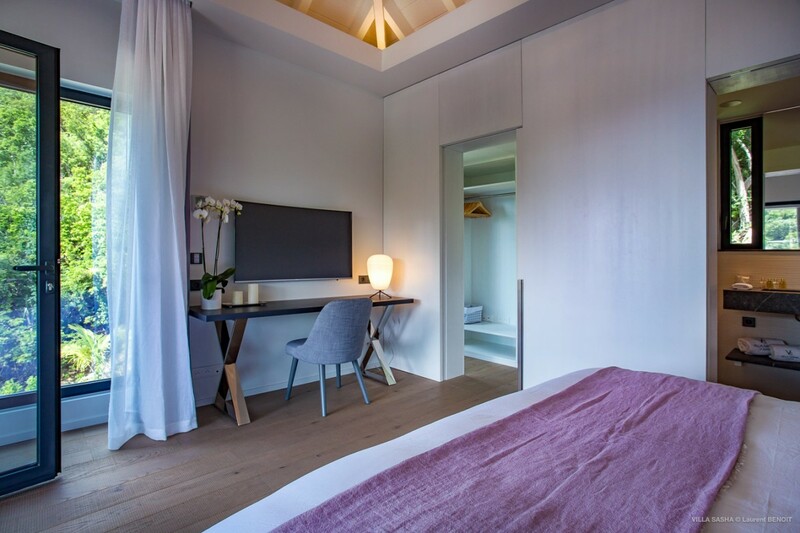 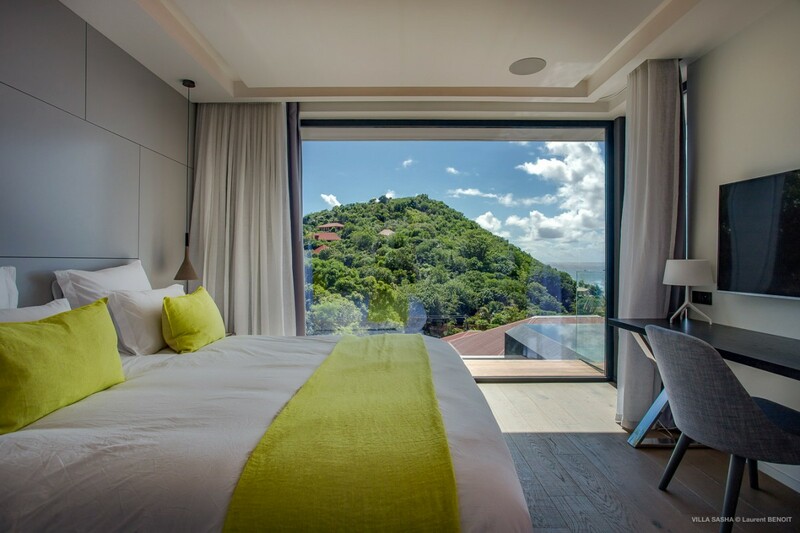 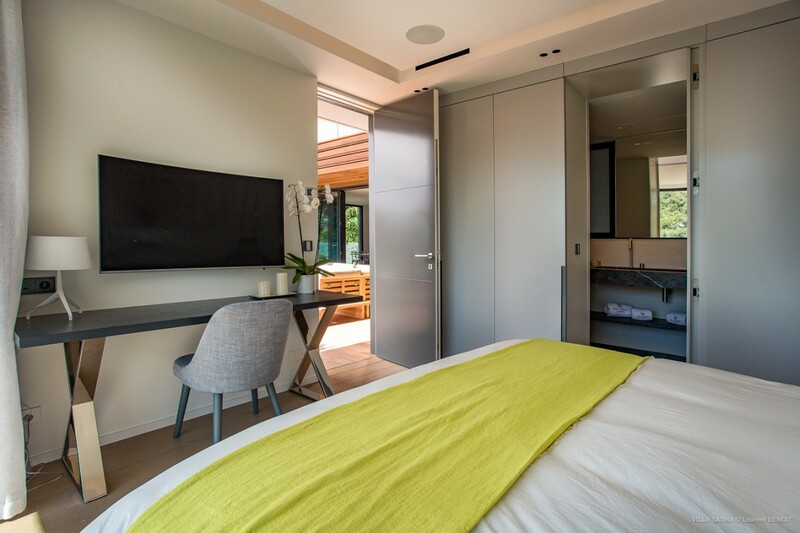 The same "open to the air" feeling permeates each bedroom, with private terraces, enormous ensuite baths and truly stunning décor guarantee that any visitor will fall in love with the villa at first sight. 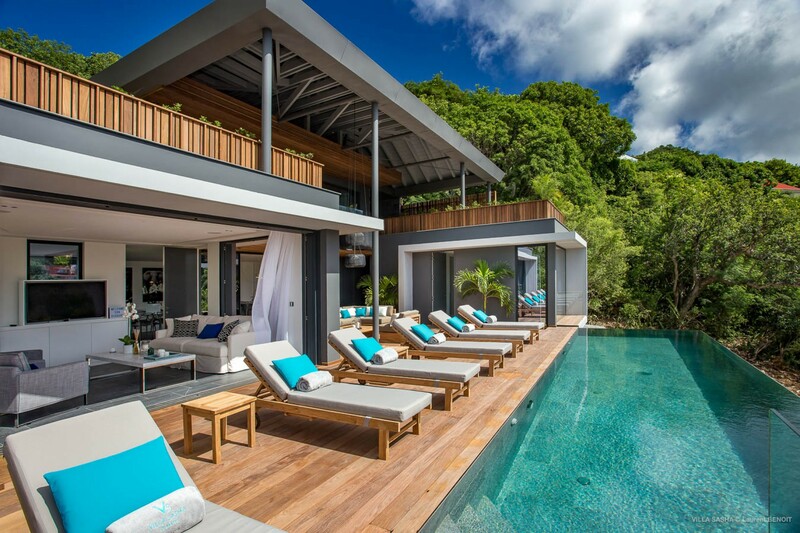 Whether traveling with your family or a set of very discerning fellow travelers, the remarkable Villa Sasha is sure to delight. 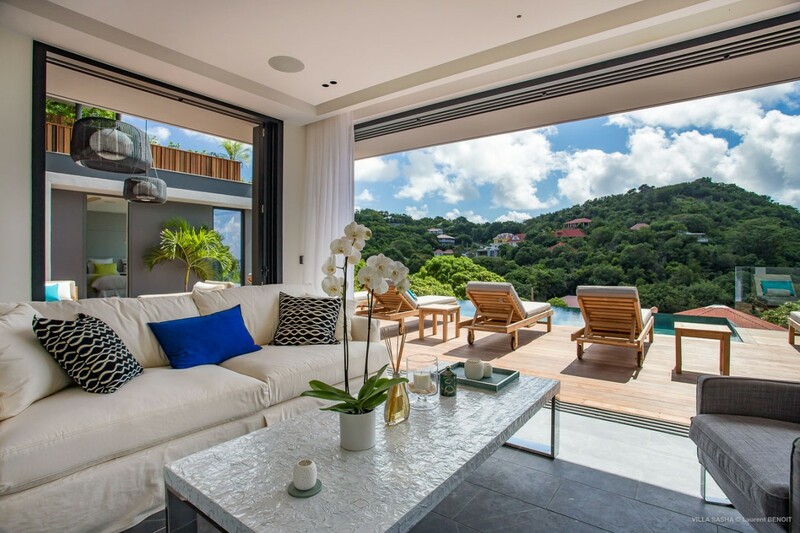 It offers flawless décor, modern and appealing design and a garden-like setting with the utmost privacy and endless scenery. 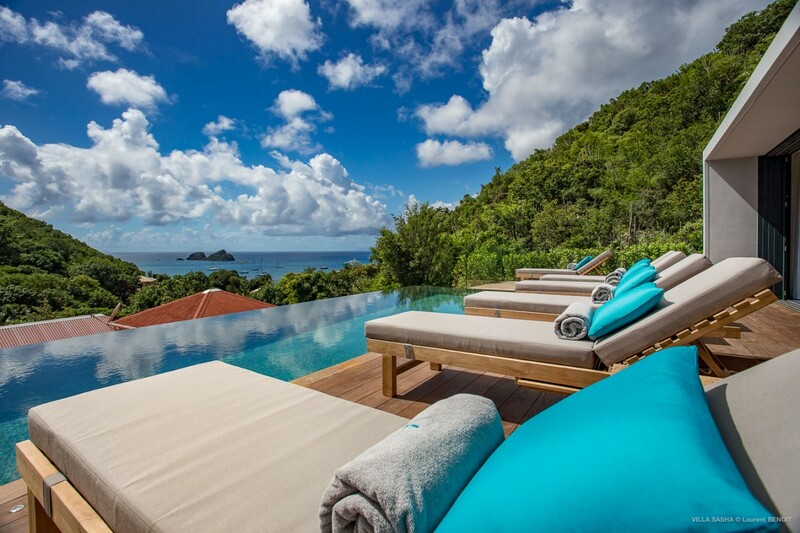 Find a private paradise here!